DETROIT — Dan Ammann, General Motors Co.'s incoming chief financial officer, is a Wall Street veteran who got an up-close view of GM's financial woes as it stumbled into bankruptcy. Ammann, 38, an avid sailor who drives a 1961 Cadillac convertible, was brought in to advise the company before its government-backed bankruptcy in 2009. Now GM's treasurer, he'll take over as CFO next month. 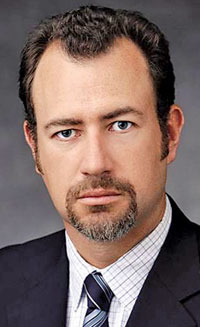 Ammann will succeed the departing Chris Liddell, a fellow New Zealand native who announced his resignation last week. Since arriving at GM in March 2010, Ammann was credited with helping pare GM's debt load and taking a hands-on role in the company's initial public stock offering last autumn.